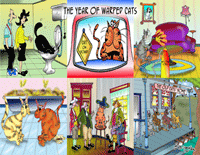 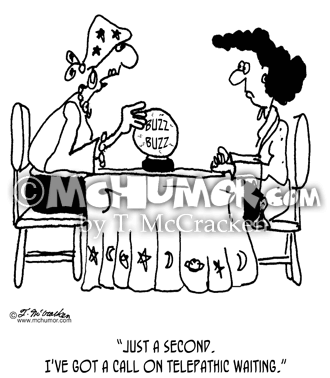 Call Waiting Cartoon 5762: A fortuneteller with a blank crystal ball says to a woman, "Just a second. 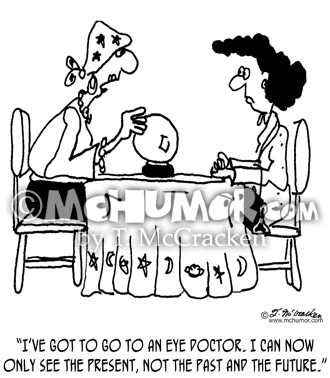 I've got a call on telepathic waiting." 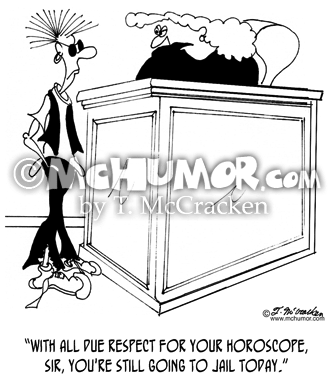 Judge Cartoon 6613: A judge saying to a man, "With all due respect for your horoscope, Sir, you're still going to jail today." 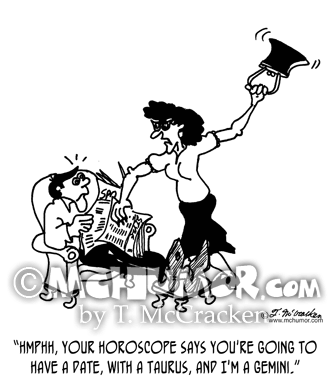 Relationship Cartoon 2488: An angry woman reading a newspaper saying to her husband, “Hmphh, your horoscope says you're going to have a date, with a Taurus, and I'm a Gemini." 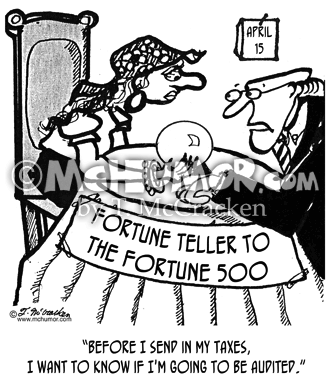 Tax Cartoon 2860: Someone says to the “Fortune Teller to the Fortune 500:” "Before I send in my taxes, I want to know if I'm going to be audited." 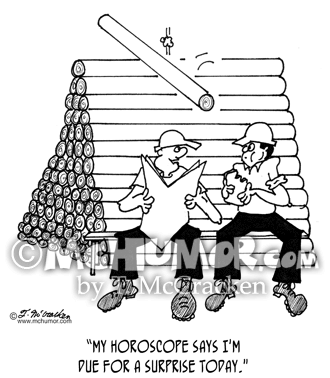 Horoscope Cartoon 3704: Not seeing that a load of lumber is about to fall on him a man reading a newspaper on a construction site says, "My horoscope says I'm due for a surprise today." 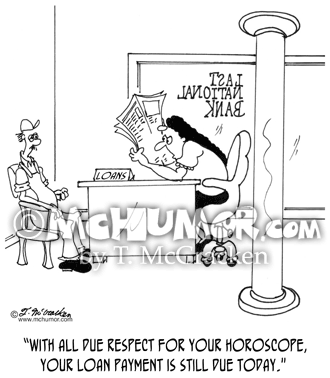 Loan Cartoon 6365: A bank officer says to a man, "With all due respect for your horoscope, your loan payment is still due today." 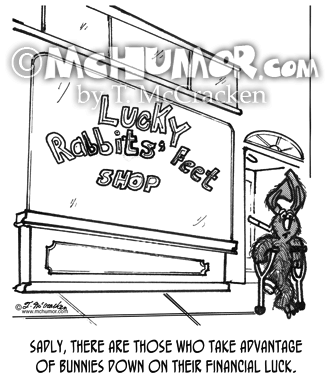 Insurance Cartoon 5159: In front of an insurance company a man walks with a sign that says, "World Will End Soon. 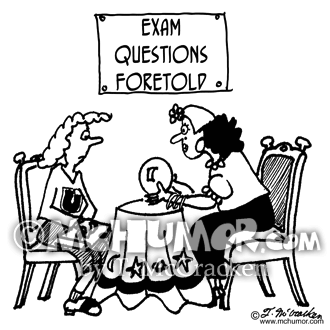 Are You Insured?" 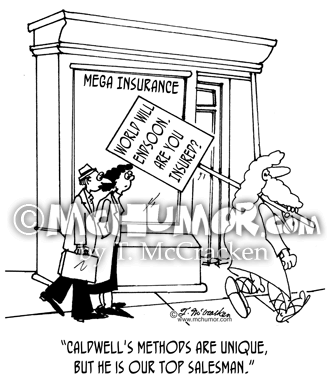 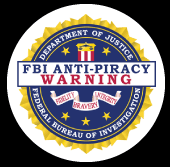 An agent says, "Caldwell's methods are unique, but he is our top salesman."